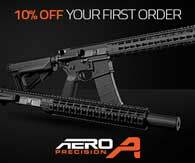 BEST LUBRICANT for an AR15 – What’s the best lubricant, oil or grease for an AR15? That’s one of the questions that I am frequently asked on one of my other sites. While I cant scientifically state what is best I can tell you what works for me from the sub zero temperatures of northern Vermont to the 100 degree plus days in my home state. I like to keep lubing my AR15’s simple. You the reader will be shocked to learn my favorite oil for an AR15 is MOBIL 1 SYNTHETIC MOTOR OIL. The same that is used in my Toyota Tundra. One quart is about $8 and last a long time. I keep the BOLT CARRIER lubricated with MOBIL 1. Now if the MOBIL 1 is just too easy and not exotic or expensive enough for your AR15 there are other suitable alternatives such as Militec 1, Mil-Comm and Froglube. They all work well. Here’s the thing though READ THE INSTRUCTIONS BEFORE USE. Some of these lubricants require the parts to be degreased and heated to a certain temperature before application. Once again it’s a Mobil product. 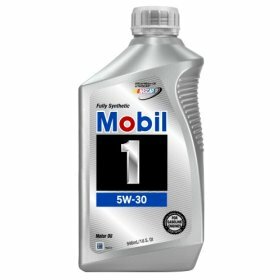 This time it’s MOBIL 28 Synthetic Aviation Grease about $13 for a 13.7 oz tube. This is the same red grease supplied with Geissele triggers. It’s important to note that Geissele used to provide a superior grease in the Mobil FM 102. Unfortunately Mobil discontinued the FM 102. The named replacement is Mobil FM 222 which is off white in color and cost twice as much as the FM 102. Anyhow the same brands listed in the oil section above offer very good grease. I like to use grease on the trigger, bolt lugs, safety and takedown/pivot pins. 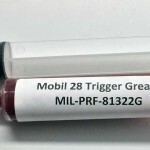 Update 03/25-2016 – The MOBIL 28 Synthetic Aviation Grease is now nearly $23 for the 13.7 oz tube from industrial supply distributors. That’s a lot of money but keep in mind that’s also a lot of grease. Fortunately a few entrepreneurs are making lesser quantities available in custom packaging delivered for less than $9.